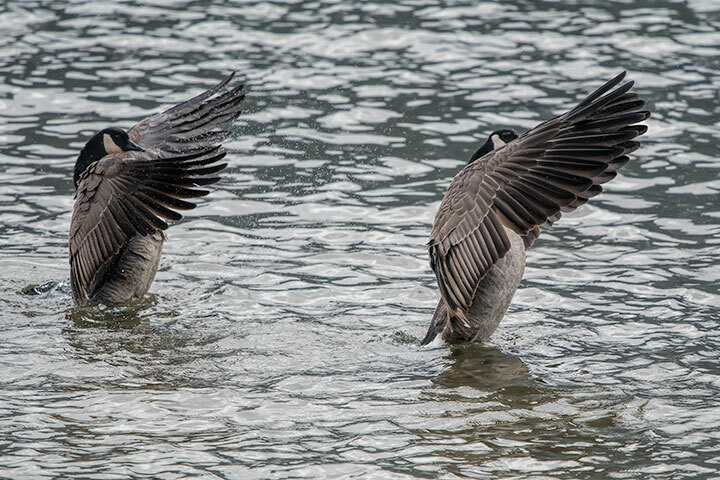 The synchronized wing flapping of a Canada-Goose couple was spectacular. I assume that theirs was a pre-copulatory, courting behaviour, but I did not see them complete the act. 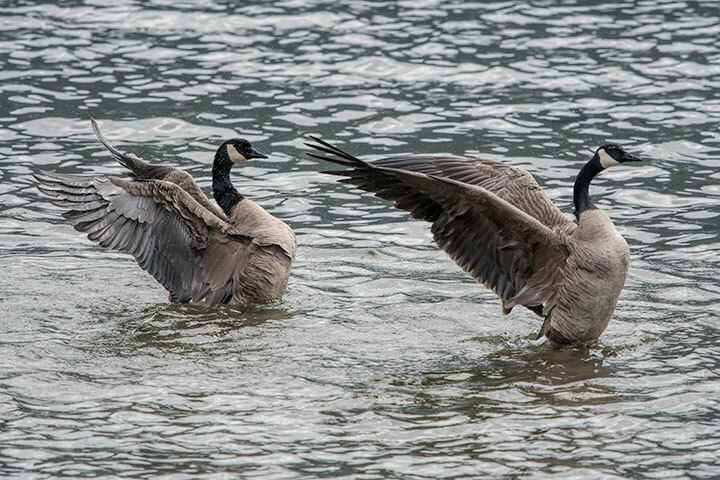 The geese, one in front of the other, rose out of the water and together spread their wings back. Together, they swung their wings to the side. And then to the front. 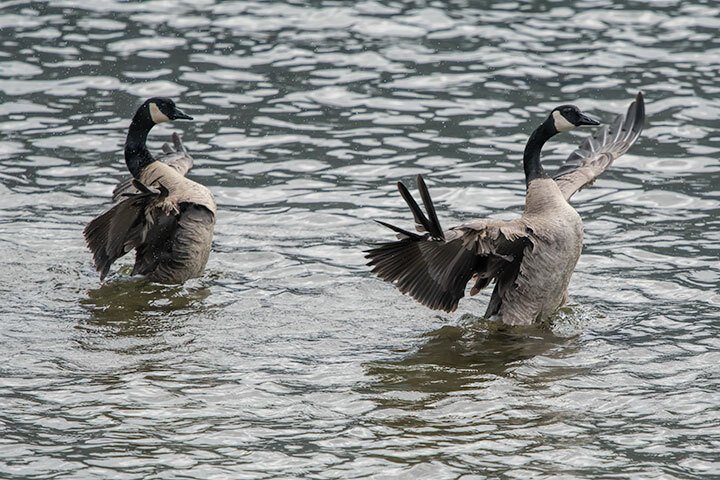 Beautiful ballet, Alistair…no courting or copulation missed by your prying camera lens! What a treasure to come upon. I am both in awe and amused.